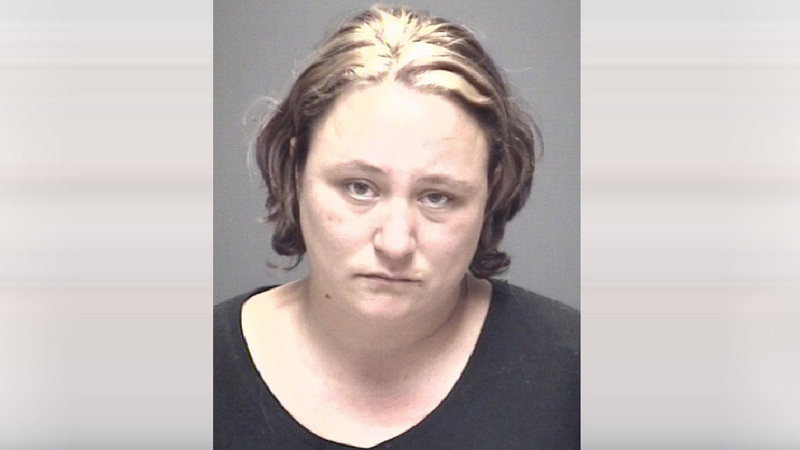 BACLIFF, TX (KTRK) -- A woman arrested after an alleged drunken fight with her husband is accused of repeatedly kicking a Galveston County sheriff's deputy during her arrest. Mary Dickmeyer faces a charge of assault causing bodily injury - family violence. Deputies were called to Dickmeyer's home in Bacliff Sunday morning by a 15-year-old child. A deputy found Dickmeyer's husband locked in a bathroom and she was guarding the door. She and her husband appeared to have injuries stemming from a fight. A witness told the deputy the two had been drinking all night but Dickmeyer was the aggressor, according to the sheriff's office. When the deputy tried to arrest her, she repeatedly kicked him in the stomach and chest. The Galveston County Sheriffs Office says deputies have responded to four reports of disturbances at Dickmeyer's home in the last six months.